YOUR Vergennes Opera House ! Our 2019-2020 Season is over but there is always something going on at the Vergennes Opera House! CLICK HERE for tickets via our calendar of events. Carnevale Vergennes 2019 was a HUGE success and continues to break all records! 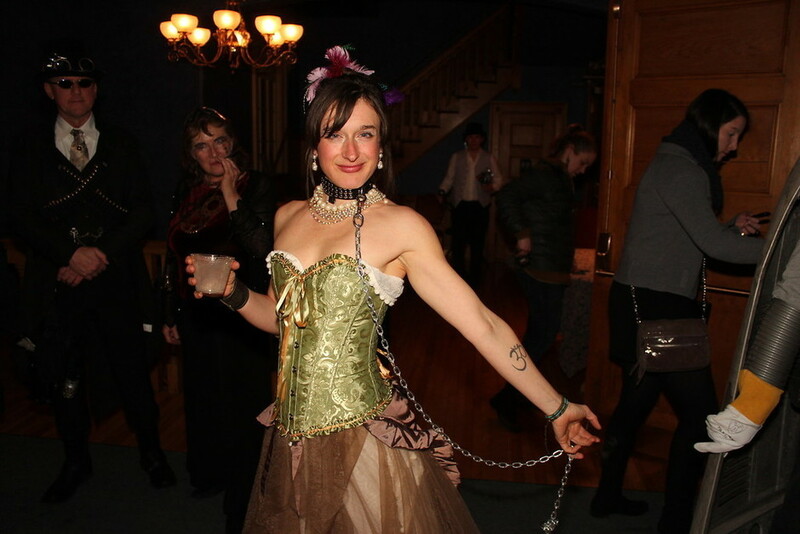 Go to our Carnevale Vergennes Page here to relive the magic and to peruse the many Experiences that are still available to purchase. ABOUT the Vergennes Opera House: This historic Opera House was built in 1897 and was restored and opened to the public in 1997 after a 27-year-closer, just in time for the building's 100th anniversary. The Vergennes Opera House is located on the second floor of Vergennes' city hall on Main Street. and is managed by the non-profit group The Friends of the Vergennes Opera House (FVOH), a 100% volunteer organization with members dedicated to keeping the arts and community alive and thriving in the little city. DONATIONS from individuals and businesses are the major source of revenue for the FVOH. We encourage you to make a donation today! The Vergennes Opera House is also available to rent for special events, bookings, weddings and corporate meetings. The theater has a 12 x 9 ft rear and front projection screen and projector as well as tables, comfortable chairs and a basic sound system. For information about renting the opera house please visit our rentals page and then call 802-877-6737 or email us here. The success of the Vergennes Opera House depends greatly on the generous volunteers, businesses, and individuals who donate time, talent and other services to help our theater run. We want to thank them all! H.J. LeBoeuf & Sons, Inc.